Eleven-year-old Dawnetta McLean endured more hardship than her little shoulders should be allowed to bear leading up to the National Grade Six Assessment, including two bouts of illness, hours of travelling and many late nights, but she was determined to do well and in the end her dream came true when she was awarded a place at Queen’s College (QC). Success comes after hard work it is said and McLean’s was hard as she not only spent countless hours in classroom settings at school and later at lessons but also had numerous domestic issues to deal with and were it not for her resilience she may have easily given up. Even as she basks in the glory of being among the country’s top 100 students McLean knows that is her only reward. What she really would like to have been awarded with is a laptop computer, an item she dreams of owning, but sadly for her it will remain a dream for much longer. While her mother Dawn McLean would like nothing better than to grant her daughter her heart’s desire, she is not in a financial position to do so. In fact Dawn is hardly in a position to secure her daughter’s school apparel for the new school term and the nagging headache that never subsides is the everyday bus fare that she would have to find to send her daughter to the school of her dreams. “But she must go,” Dawn told Stabroek News in a recent interview. “She worked really hard and she get Queen’s and she has to go.” Dawn explained that her daughter being awarded a place at the highest school in the land was bittersweet. Borrowed ….. Dawn is a labourer at a large company and she makes just about $5,000 a week without overtime. Her husband, also a labourer at a timber company, makes just about the same thing. However, the combined wages of the two are hardly enough to sustain the family of three as according to Dawn by the time they pay their bills and purchase food there is hardly any money left. “Many days I did not have money to send Dawnetta to school but I use to tek shame out me eye and borrow from the neighbours because I say she must go to school,” the woman told this newspaper. She explained that while she only has one child it is still difficult for the family and the fact that they live all the way at Kuru Kururu, on the Linden-Soesdyke Highway, does not help the situation. She had to find some $480 a day for her daughter to journey to and from the West Ruimveldt Primary School. At times the family doesn’t have much at home to eat and the mother who feels for her daughter is also forced to borrow money for the child’s lunch. Kelvin Ambedkar is the authorized distributor for Dave Martins Records; Major Mike Charles Productions and Angels Caribbean Records. 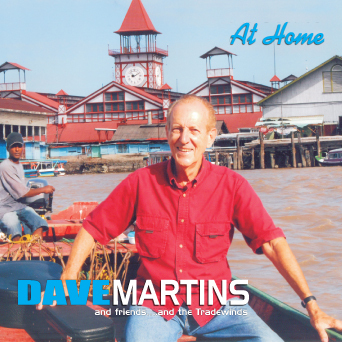 A shopping cart for Dave Martins records is now being setup at www.dtradewinds.com and also an online sales ordering cartridge on www.pepperpotradio.com. 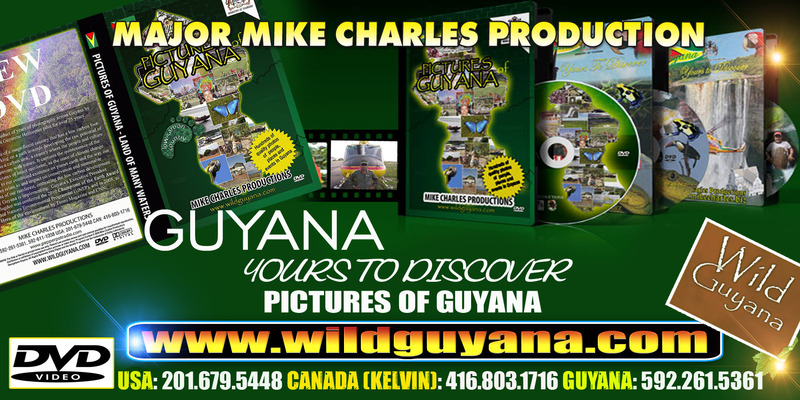 Mike Charles’ DVD’s can be purchased online at www.wildguyana.com or at his booth at Timerhi Airport. The Guyana Association of Georgia, Inc. The youth of today are the leaders of tomorrow. They are our future engineers, doctors, lawyers, educators, politicians, entrepreneurs, psychologists, scientists, authors, CEO’s, and computer technologists. Register your child TODAY. Registration fees can be paid online or by money order only. Applications can be downloaded from the website or contact Austin Thompson for a copy. Thank you so much for your support. Oratorical Competition, Academic Bowl, Parent’s Workshop, Technology Workshop, empowering guest speakers, cultural entertainment, and more. This account by Peter Halder of life in the Upper Demerara River in the late 1950’s gives a vivid picture of that area that all should like, as it reflects some of the unique features of life at Mc Kenzie, the mining town and the nearby Wismar, Christianburg, and the Demerara River, then the only link to Georgetown and the outside world. “Living in the Upper Demerara River District was a lasting, memorable and wonderful experience. I was not yet 21. The experience influenced my future life. In my opinion, it was the best working experience in my life. My knowledge of people, responsibility, the law, the district and the beauty of friendship was a treasure beyond compare. Georgetown was tame when I returned to it from my tenure”. 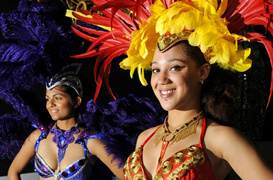 Here is the Special Edition on the upcoming Caribana 2010 Festival carried in the Toronto Star on July 22, 2010. Yes, it’s doubly hot in Toronto this year. After two consecutive years of wet and cold summers in the Greater Toronto Area (during which years I never watered my lawn and yet it continued to be lush and green through to the normally blisteringly hot month of August), the hot (and humid) weather has finally returned to the GTA. I almost said that it’s like being back in Guyana, but I don’t remember it ever being as humid since there was always the cooling effect of the constant North-east trade winds blowing. I can remember struggling on my bicycle to make it up the final hill on Camp St. at the Sea-wall, struggling not only to get up the steep hill (which no longer exists – they’ve flattened it out!) but fighting against the prevailing winds from off the sea! That first “hot” is real and physical, but the second “hot” in Toronto is metaphorical in nature. 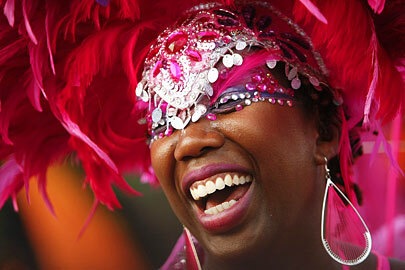 It’s CARIBANA time in Toronto, which means that there are two big “hot” Guyanese events to look forward to. The first is the Saints’ annual CARIBJAM blow-out which takes place on Friday 30 July from 8:00 p.m. to 2:00 a.m. at the Thornhill Community Centre. Yes, it’s going to be a real “hot” event this year as, for the first time in 3 years, we will be providing a live band for your jump-up! We have secured the services of the leading Trinidadian band, Roy Cape All Stars, with support from DJ Paul Sound Machine, and you will have a great time for only $40 (Can.) per person. It’s just over 2 weeks to go, and the tickets are selling fast now. Don’t be disappointed as at our Spring Dance when we had a rush for about 50 more tickets during the week preceding the dance and after we had sold out all the tickets! We still have a few left (the hall holds 550), so reserve your tickets NOW by contacting any member of the Executive. The second big event is the 15th. anniversary of the Last Lap Lime which takes place on Monday 2 August from 11:00 a.m. to 8:00 p.m. at the Woodbridge Fairgrounds in North-west GTA. This year, in addition to the great Guyanese food and drink available for your purchase, we have added more and varied entertainment for both the young and old (or should that be for all those who are now or still young-at-heart?). While parking is available at the grounds for only a “Toonie” ($2), we have only 1,000 spaces available but expect 6,000+ attendees, most of whom usually arrive in the early afternoon. Therefore, we ask you to car-pool wherever possible as, if you are forced to park outside in the neighbourhood, you will probably have to pay $10 – $20, depending on how much the owners of those parking lots want to rip you off! The price of a ticket is $25 (Can) per person on the day of the event (if any are still available), but we don’t want you to pay that. Purchase your tickets BEFORE the event from any member of the Saints’ Executive and you will pay only $15 (Can) per person. We look forward to seeing you at these events. Thank you for supporting us in these efforts to improve the education of the children in Guyana. Proceeds support St. Stanislaus College, one of Guyana’s Premier Secondary Schools providing FREE education. The Last Lap Lime is an annual event held jointly by five non-profit Guyanese Alumni Associations resident in Toronto, Ontario. It is the largest congregation of Guyanese outside Guyana. This social event ensures that Guyanese culture remains vibrant in the diaspora by celebrating what it means to be Guyanese through entertainment, food, drink and ‘liming’. The event provides a taste of Guyanese culture to the children, grandchildren and friends of Guyanese living in the Diaspora. Join us for a fun filled day of entertainment, laughter, and good cheer! Location: Woodbridge Fairgrounds 100 Porter Avenue Woodbridge, Ontario. Kipling Avenue & Highway 7. Large Parking area ! Tickets: Early-bird purchase – $15.00 At the event – $25.00. Contact list for the five Alumni Associations <click here), associated with Last Lap Lime: Bishops High School; Queen’s College; St. Joseph’s High; St. Rose’s High; St. Stanislaus College. I may be off about a year or so – I’m not good with dates – but it was around 1969. Literally out of nowhere, the Tradewinds band, based in Toronto, had landed at the top of the Caribbean music charts with a song I had written called “Honeymooning Couple”. On tour in the region, we had come to Guyana. Somebody – perhaps Gordon Forte – persuaded me to go to the Theatre Guild to see a local show that was very popular in Guyana, a kind of “new thing” as I recall the build up. It was at the original Theatre Guild Playhouse, and the show was a knockout. It was called “All O’ We” and featured a variety of talent, but I was particularly struck by the comedy/drama mix of local skits, largely in dialect, featuring Marc Matthews, Ken Corsbie and Henry Muttoo, that made up the heart of the show. The audience was eating it up. I realized pretty quickly I was seeing something fresh. I had encountered this format of topical theatre in Canada but not in the Caribbean, and I was frankly surprised to find it here. Remember, this was 1969. The Guyana I knew, the one I had grown up in, was a place where local vernacular on the legitimate stage was frowned upon, and street culture, in particular, was definitely off limits, but here it was alive and kicking in “the theatah”. It was like a calabash of cold water. What was going on of course, was the emergence of this talented trio of Guyanese – coming out of the original “He Wan” and later “Dem Two” shows – who had created this “All O’ We” creature that would go on to captivate audiences here and in the region for years to come. I mention this episode for two reasons. The first is that the show had a personal value for me. “All O’ We” was essentially tilling the same soil as I was with the songs about Caribbean society that I had begun writing in the late 1960s in Toronto. Tradewinds was this anomaly of a band formed in Canada, and based in Canada, but recording material for a Caribbean audience 2,000 miles away. It was therefore an artistic and economic stretch, doubts were involved, and though I didn’t say anything about it, the experience of seeing Marc and Ken and Henry served to reassure me that what I doing over there in that distant country was valid. We were, in effect, on the same road in different shoes, travelling to the same cultural audience. You can say that Guyana’s recent independence was a factor for both them and me, and you could be right, but that is an abstract notion; the “All O’ We” show was on a stage in Georgetown; “Honeymooning Couple” was on the air. These were concepts grown into realities. And there’s a deeper link. Remember again that 1969 was a scant three years after colonialism ended for us, and the self doubts and even self denigration from those times were still with us. Let me speak directly: it was still with me. The realization that we were indeed a people with examples of excellence among us had not come to me yet. I was still infected with this message I had grown up with that what we produced, what we developed, the things we built, even the language we spoke, were second-rate. I had not yet worked through that nonsense logically, as I eventually did. In 1969, I was still labouring, sometimes consciously so, under this aura of self doubt. In the scenario I had created for myself – bold face in front, but not so sure inside, about this Caribbean focus I was developing – to then walk into the Theatre Guild and hear “All O’ We” coming off the stage was a confirmation for me that we were beginning to recognise the value in ourselves and our culture; we were beginning to shed the doubts generated in our earlier history. Guyanese were applauding and paying for what only a few years previously we would have dismissed as “three fellas talkin’ stupidness”. Although none of us knew it at the time, it showed that we were coming of age culturally; we were starting to identify and, more importantly, recognise our uniqueness. I had a hit song, and Marc, Ken and Henry had a hit show, based on our own thing; we were on the cusp of that together. That unspoken professional kinship, generated between us as Guyanese in 1969, grew over the years in a lasting mutual respect. It was further strengthened in later years, when I moved to the Cayman Islands from Toronto, and became involved in getting, first Henry Muttoo, and later Ken and then Marc, to bring their artistic contributions there. I’m also indebted to Ken for the joke he told me, in a Tradewinds intermission in Barbados, that led to my song “Cricket in the Jungle”, and the title of this column is a frequent Corsbie declaration that exemplifies his coexistence view of life. The other reason I mention “All O’ We” is that I want to wave a particular flag today for Ken, one of the linchpins of the group, and later a respected performer in the Caribbean, who is celebrating his 80th birthday on July 25th. It should be particularly noted that Ken’s work in entertainment has been more than diversion. Because of its strong cultural slant, it has contributed significantly to our sense of identity as a people; from it we have learned to laugh at ourselves; it has helped the culture to mature. Ken may downplay that aspect of his work, but it is there. Ken Corsbie’s contributions to theatre, here and in the region, are substantial and have been noted elsewhere, but from Guyanese, on this milestone in his life, it would be nice if we emailed him a little thank you (kcorsbie@optonline.net ) or even phoned him (631 744-3127) to say “thanks Ken” for all the laughter and bounce he has brought into our lives for so many years. Mind you, he may cuss you blue for not buying his CDs, but that’s Ken. Besides, he’s right; so he go. This is the Buxton Friendship Newsletter for July 2010. It is with sincere commitment and pride that the Response Committee, formed to organize the activities for the commemoration of the 170th Anniversary of the purchase of Buxton-Friendship assiduously undertakes plans to satisfy the expectations of hundreds of overseas-based Buxtonians and friends of Buxton, who will participate in this major historic event. Our fore-parents exposed ideals and values – co-operativism, thrift, unity, independence, education, love for your fellow people, strength of character etc., and they must remain pillars upon which we continue to build and defend Buxton. In retrospect, our fore-parents were a nononsense group of people who fought for what they believed-a virtue we need to promote, as we collectively climb to the top of the mountains with Buxton on our shoulders. this journey, we have earned too many .firsts. (which you will hear about later) to not contemplate serious development of our village at this juncture. It is with deep anticipation that we await your arrival and active involvement in the wide variety of activities programmed for this landmark celebration. We are truly excited and, on behalf of all our members, I take this opportunity to welcome you home to Buxton to celebrate our heritage while charting a new development path. Let that feeling of nostalgia propel you not only to reminisce on the good, old village life but. Most importantly, to reaffirm your conviction to rebuild Buxton in every respect. Come and have real fun!! Bring your brain to promote a progressive vision. Bring your energy to fuel the spirit of unity. Bring your right clothing to celebrate the Buxton Village Movement. Bring your commitment, passion and goodwill to endorse the development thrust of Buxton Village. Our fore parents must be smiling in their graves.